The Rustenburg School Uniform Shop, the Bugs’ Boutique is conveniently located on the High School grounds and is usually open every Monday and Wednesday from 12.45 to 15.30 and Friday from 12.15 to 14.30, as well as on the FIRST Saturday of the month (except where this falls in the School Holidays) from 9.00 to 11.00. The Bugs Boutique will close for stocktake from 5 December, with the last day of trading being 4 December 2017. For your convenience, we open for High School parents exclusively before the start of Term 1 – on Tuesday 16 January, from 11:00 to 15:30. 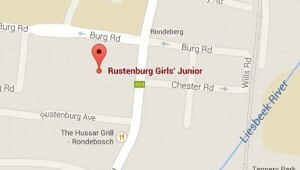 We carry a range of good second hand clothing and welcome donations of Rustenburg uniforms in good condition to sell. If any of the donated clothing sent in is not suitable for sale, we send it to a school in the Eastern Cape which can use it. Unfortunately we can no longer sell second hand clothing on behalf of parents – if you wish to sell your second hand clothing to other parents direct, join the second-hand uniform Facebook group. 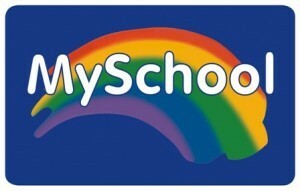 Personalised clothing labels can be ordered from the ShoeMarkers Plus website.